350 litre Rock Salt Bins are a popular choice with Local Authorities, Councils, Schools, Theme and Leisure Parks, Colleges and Universities, Leisure Centres, private businesses and individuals. The reason for the popularity of this range is that they are cost effective and very economically priced, they also have the ability to inter stack. 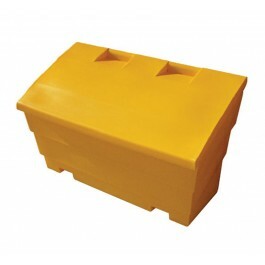 This 350 Litre rock salt bin can be stacked 7 high with 14 units fitting onto a single pallet. This provides our customers with the advantage of ease of storage in summer and also the added benefit of value for money in transportation. 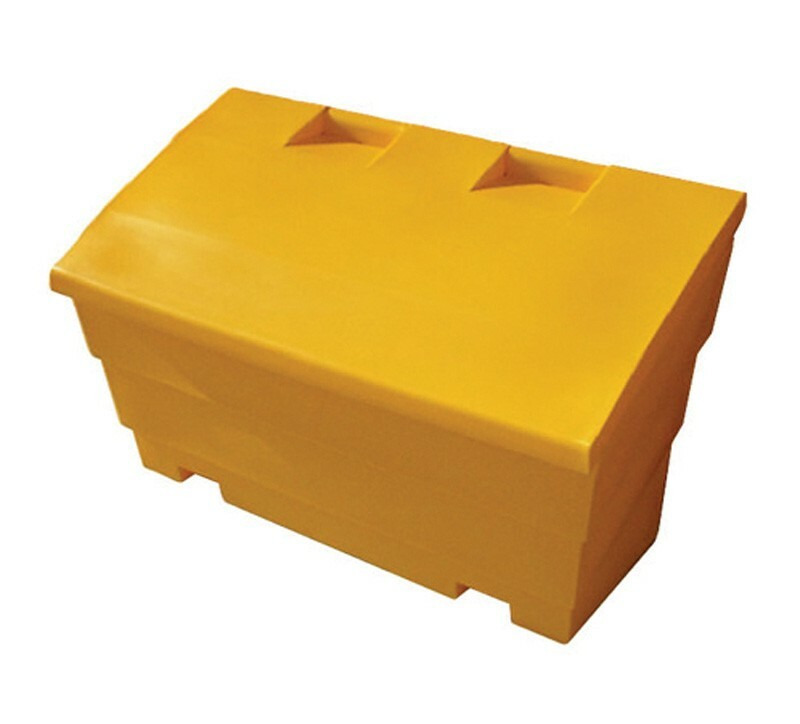 Our rock salt bins are available in a wide choice of colours and are ideal for the protection of rock salt and grit in winter weather. The bins also incorporate forklift and pallet lift channels and a large opening for ease of use. Made from polyethylene, a tough and durable material, UV stabilised and guaranteed not to fade in colour for up to 10 years. This bin is designed to be used with any of the Rock Salt or Winter Mix that we sell. Capacity of 350 litre which will take approximately 350kg of rock salt. Smaller 175 litre bin is also available - which will take approximately 175kg of rock salt.